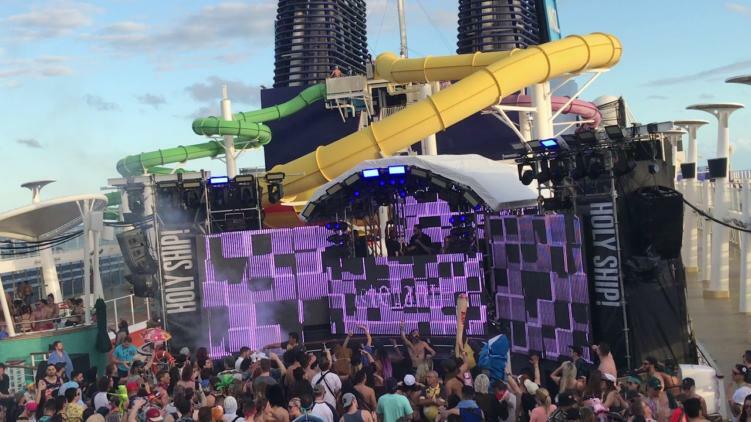 Holy Ship is known for its crazy pop-up sets, insane b2b’s, and all-around good vibes. And it’s on a cruise ship, even better! Last week, Holy Ship 13.0 rounded out Insomniac’s double-whammy of Holy Ships. The lineup consisted of multiple sets from artists such as DeVault, Fisher, The Black Madonna, and more. And one of those epic sets that occurred on 13.0 was this pop-up set between ZHU and Tchami. ZHU recently cancelled the rest of the tour dates on his Dune part 2 tour, but remained on Ship’s lineup. It seems that he enjoyed himself, so hopefully this means new music is in-bound! Give the b2b a watch/listen below. Shoutout to the camera man! For those that want the track-list, head here.